The clock has wound done, it's here. The 35th National Games of India will light up Trivandrum and the rest of Kerala for the next two weeks. 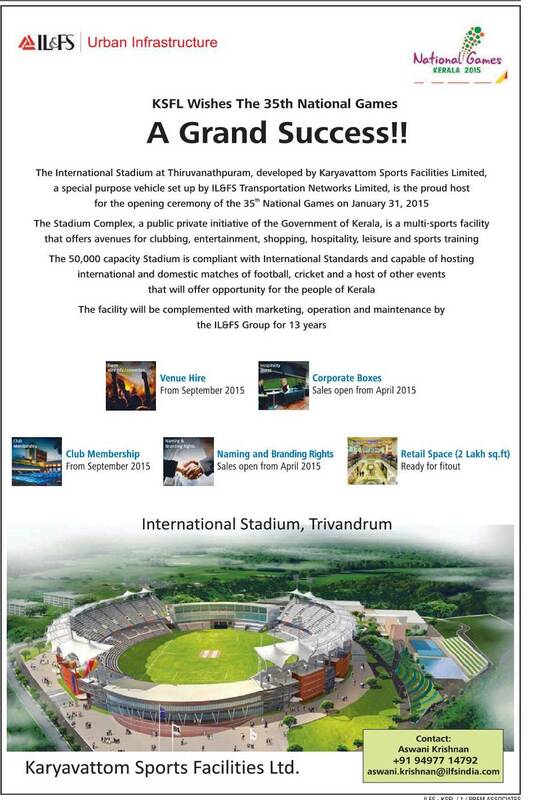 The star of the event is the stunning Trivandrum International Stadium, just inaugurated right next door to Technopark, and Karyavattom. Kudos to IL&FS and its team of engineers, and to the National Games Secretariat to completing this magnificent structure, by far the best of its ilk in India, in record time. You can get introduced to some of the incredible people behind the scenes here. These folks deserve more than a big round of standing applause. 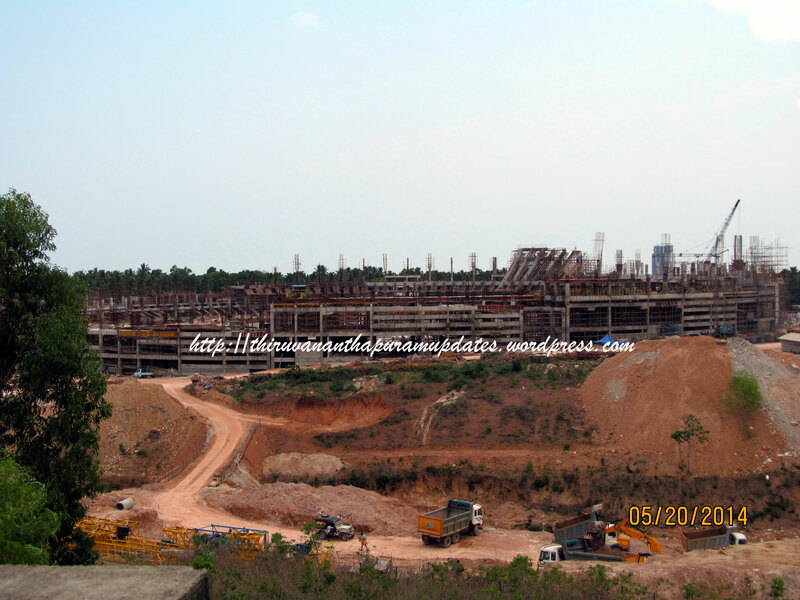 They have proved that sound project management practices can deliver a world-class product in India in record times, sans the need for any retired supermen from Ponnani! The stadium is simply stunning and you can see a great photolog here and a back-the-scenes tour of the interior of the pavilion here. Thanks so much to the team behind Thiruvananthapuram Updates! I so desperately miss not being at the Stadium right now and in Trivandrum for the Games but for those of us stuck elsewhere, the entire Games will be webcast here.